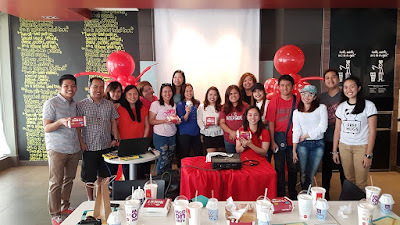 I went to McDonald’s Bloggers' New Year Party here in Davao a few days ago and I was thrilled to taste their new offering, the new Mushroom Pepper Steak! It was a great time to welcome the new year with my instant new favorite meal at Mc Do. Mushroom Pepper Steak is welcome addition to McDonald’s range of filling and affordable rice meals, it features a juicy burger patty, smothered in a mushroom cream sauce with a hint of pepper, and topped off with sliced button mushrooms. With the New Mushroom Pepper Steak, foodies can now enjoy a steakation wherever they are. 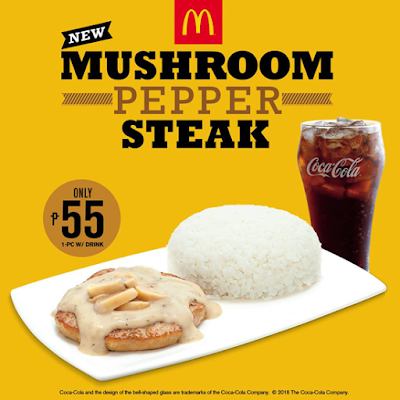 Taste the 1-pc Mushroom Pepper Steak with a regular drink for only Php55. It also comes as a 2-pc meal with a regular drink for only Php89 or with a McFreeze starting at Php69 for a 1-pc meal and Php 99 for a 2-pc meal. Indulge in a STEAKation at any McDonald’s restaurant nationwide. You may also order via Drive-Thru or McDelivery (86-2-36, www.mcdelivery.com.ph, or the McDo PH app). Get the latest from McDonald's in Facebook, at facebook.com/McDo.ph or via @McDo_PH on Twitter or Instagram.